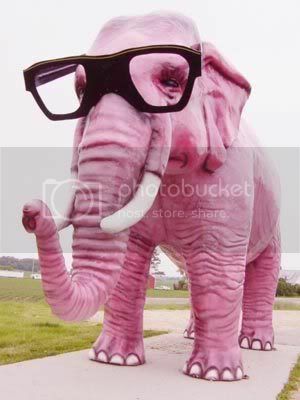 "Elephant in the room" is an Englishidiom for an obvious truth that is being ignored or goes unaddressed. The idiomatic expression also applies to an obvious problem or risk no one wants to discuss. It is based on the idea that an elephant in a room would be impossible to overlook; thus, people in the room who pretend the elephant is not there have made a choice. They are choosing to concern themselves with tangential or small and irrelevant issues rather than deal with the looming big one. There are so many pink elephant's in this case but the greatest one thus far is Greer's left arm jerking over in the NIX GIF.